Trade binary options with PlusOption. 200 tradable assets available with a minimum deposit of only $250. There is little information available on PlusOption’s cash bonus on deposits programme on the broker’s website other than a section in the terms and conditions page detailing turnover requirements. As such, it can only be presumed it has been discontinued or offered on a discretionary basis. There is details of a loyalty ‘Gift Shop’ that details a range of gifts awarded for loyalty but there is again no specific details on what qualifies traders as eligible for which gifts. The lack of any real information published necessitates a low score in this category. 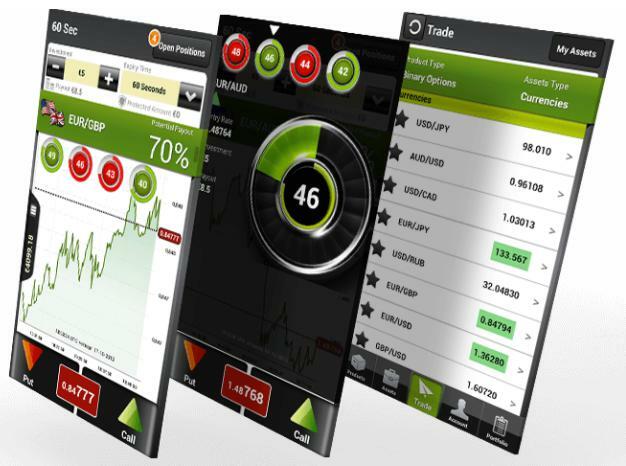 The trading platform itself is a white label version of SpotOption’s market-leading software. With almost 40% of the binary options market reputedly trading via SpotOption’s software, it should come as no surprise that it meets very high quality standards. Hard to find fault and a high mark to reflect that. The mobile app-version of the trading platform is also very good. 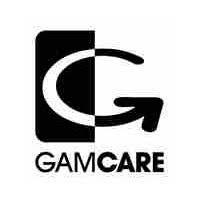 While there is no live chat customer support there is a telephone line and email channels provided. Working hours are also slightly restrictive and keep to Mon-Fri office hours with a half day on Friday. Pass marks but not by a healthy margin. 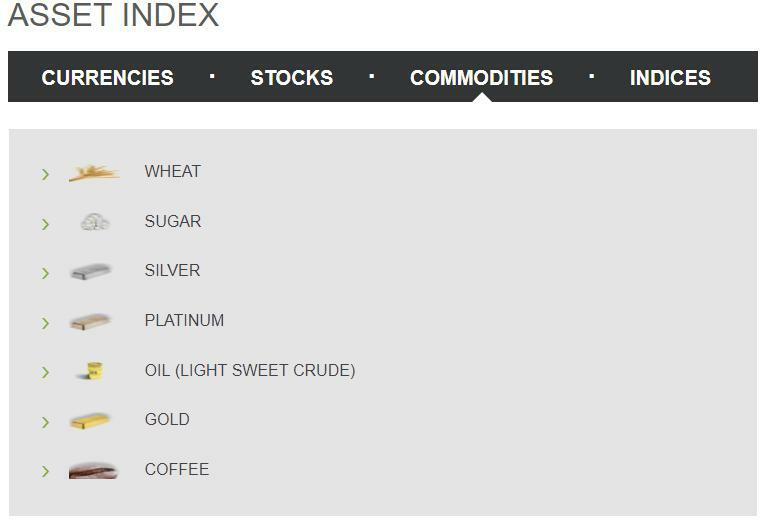 The range of tradable assets is good with almost 200 instruments available across forex, commodities, indices and equities. Will keep all but traders looking for more obscure options happy so PlusOption scores well here. Binary options are arguably the simplest form of financial derivative that can be traded. Traders predict whether the market price of the underlying asset a binary options instrument is based on will rise or fall before the option expires, which is standardly between 30 minutes and the end of the trading day. There are only two options – the trade finishes in the money or out of the money, hence the ‘binary’ of binary options. 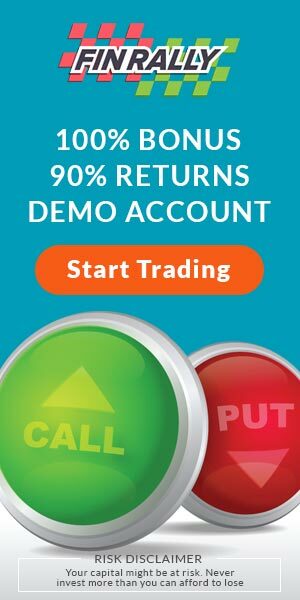 This simplicity has seen binary options trading see a huge boom in popularity in the years since it was introduced to the retail trading market. Inexperienced and beginner traders who can find trading other retail instruments such as CFDs or spread betting can often feel intimidated by the relative complexity, or what at least appears complex to the uninitiated. 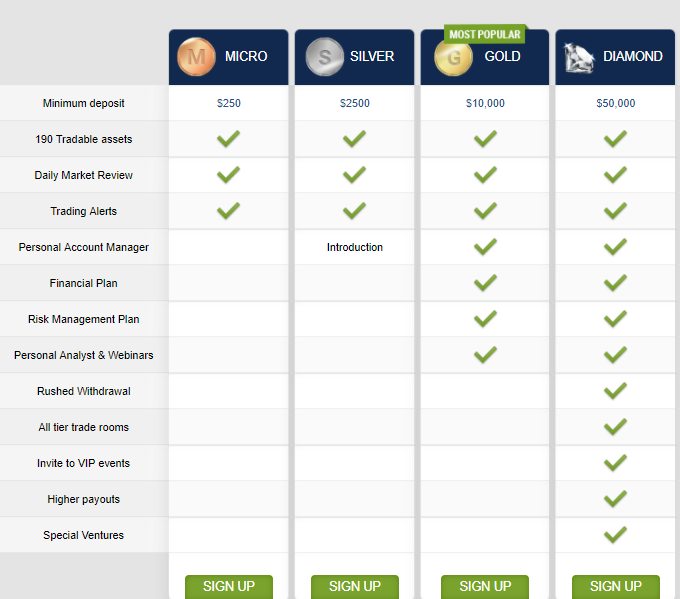 Binary options trading is, by comparison, far more accessible. Choose an instrument, eg.gold, choose an expiry time from among a few options up to several hours, choose the investment stake and whether the market price will go up or down by the expiry point and wait. If the trader is right they will receive a payout up to around 85% of the investment stake and if they are wrong they lose the investment stake. There is no leverage so losses cannot exceed the initial investment and the amount of potential loss or gain is clear from the beginning. This simple, clear format has proven to be a winner with private investors and the result has been a boom in binary options trading over the last several years. One result of that boom has been an influx of new brokers offering binary options trading platforms, all vying for clients. Competition is always good for the end user but it also means that putting in the market research necessary to evaluate different broker options can, if done diligently, be hugely time consuming. We’ve done our best to relieve some of that burden here in our binary options brokers review section. We’ve provided all of the key information across the most important characteristics important to traders when choosing a broker from trading platform software to mobile apps, range of tradable instruments, fees and charges and additional tools and resource. 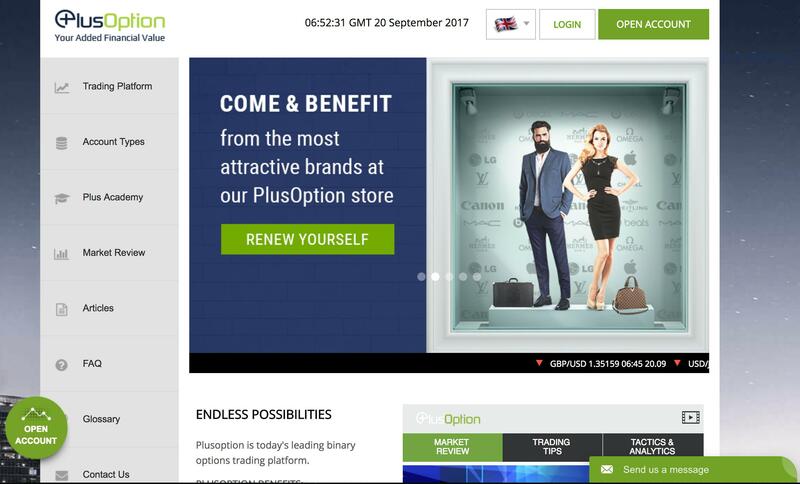 PlusOption is one of the more difficult binary options brokers on which to find a great deal of information on the company behind the brand. Established in 2014, PlusOption is owned and operated by Redfield Markets, which is registered in and operates from Sofia, the capital city of Bulgaria, a member of the EU. The customer service telephone numbers are British but the chances are the actual office is probably also based in Sofia. Though PlusOption is not a regulated binary options broker, the company does state that all client deposits are held in segregated accounts. As already mentioned, PlusOption’s trading platform is powered by SpotOption software. SpotOption is a specialist provider of trading software to the binary options industry and the market leader white label platform provider. It is estimated that approximately 40% of all binary options trading takes place on SpotOption software and many of the biggest brokers on the market are clients. 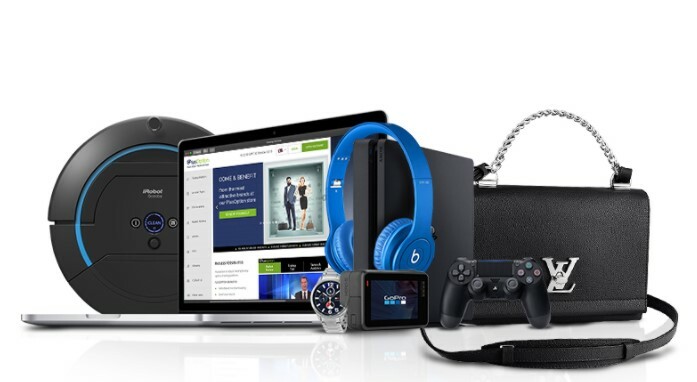 The platform is, as might be expected from the market leader, a quality product. Well-designed, simple and intuitive to use, all be the most computer illiterate will very quickly get to grips with using it to place and manage binary options positions. It has a modern, fresh feel and look and adheres to contemporary design standards. PlusOption’s trading platform also comes in native iOS and Android app format, the software for the apps again white label versions of SpotOption apps. These meet the same high usability and design standards of the browser-based trading platform intended for use on desktops and laptops. The full functionality of the main trading platform is maintained within the apps and any action taken by a trader on one uses cloud-based data management to automatically sync with the other. This means a binary option can potentially be taken on the way home from work and then monitored from the desktop computer at home. PlusOption offers traders a strong choice of almost 200 tradable instruments split between the four main asset categories of FX (currencies), Stocks (equities), Commodities and Indices. Traders have a choice of over 20 forex pairs which include fashionable cryptocurrency Bitcoin, a particularly good range of commodities-based instruments that includes soft commodities, silver and platinum as well as the standard gold and oil. The choices in the equities and indices asset classes has a nice geographical balance with plenty of presence from different parts of Europe and Asia as well as only including U.S. and UK-based instruments. Long Term binary options and 60 Second options are structured in exactly the same way as classic binary options. The only difference, as their names would suggest is the Long Term options have expiry times longer than normal, at between a couple of days up to several months, and 60 Second options expire at between 15 seconds and 1 minute from being opened. One Touch options are a slightly different format. Whereas classic options finish in or out of the money depending on the market price at the option’s expiry, One Touch options have a ‘strike price’ the instrument’s price has to ‘touch’ before the end expiry time. If it touches that price at any point before expiry the option closes in the money. Ladder options set tiered strike prices. The further up the ladder of strike prices the option has made it before expiry, presuming it has gone far enough in the right direction to hit at least the closest strike price, the higher the final payout. Pair options pair up related instruments, such as gold and silver or oil and natural gas, in a similar way to how forex pairs are formed. The trader predicts which of the pair will perform better or worse against the other. 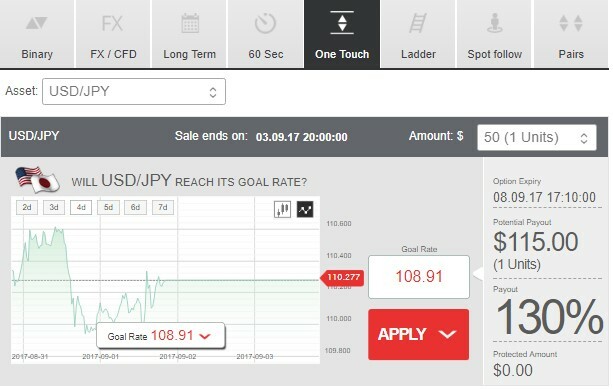 Finally, CFD/Forex options add some of the characteristics of CFDs/forex trading by allowing traders to set ‘stop loss’ or ‘take profit’ levels to close the binary option early if the underlying asset’s price hits a predetermined level before its expiry time. PlusOption does not charge any fees to open an account or to trade, making its revenue on a market maker business model. However, inactive accounts, defined as an account from which the holder has made no transactions in at least 45 days, are charged an admin fee of $/£/€49.9, depending upon the account’s base currency, per month. If the account does not hold sufficient funds to cover this fee it is automatically closed. $25 is also charged to process wire transfer withdrawals. 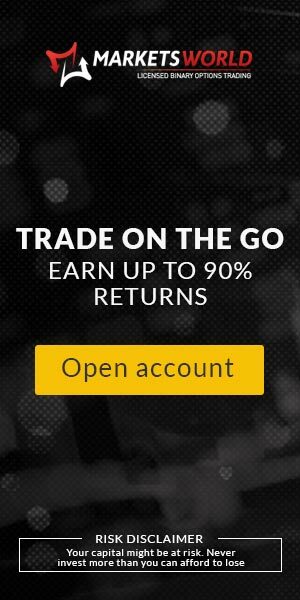 Payouts on most binary options formats offered reach a maximum of 85%, though up to 1000% can be achieved in Ladder options if the price of the asset manages to hit the top (or bottom in the case of a short position) rung of the tiered strike price. PlusOption’s bonus programme is somewhat unclear, at least from the information currently provided on the broker’s website. The terms and conditions mention cash bonuses applied to funds deposited into an account, with a x30 trade turnover condition on subsequent withdrawals after the bonus has been applied. However, we found no published details on the value of cash bonuses and deposit requirements to activate them. The broker also offers a ‘Loyalty Gift Shop’ offering traders a range of gifts. However, there is again no solid information provided on how exactly traders qualify to be awarded these gifts. PlusOption traders have an account type based on the value of deposits that have been made with different levels of account coming with added features as displayed in the table below. Gold and Diamond accounts which clients qualify by depositing a minimum of $10,000 or $50,000 respectively qualify traders for education plans and higher payout percentages for winning trades among other features. PlusOption supports deposit and withdrawals payments by wire transfer directly from or to a bank account, credit and debit cards and a good selection of e-wallet and payment processors such as Skrill, WebMoney and Yandex (popular in Eastern Europe). The minimum deposit required to open a PlusOption trading account is $/£/€250, which is also the minimum value of subsequent deposits. No more than $/£/€5000 can be deposited with any single transaction due to international money laundering prevention regulations. The minimum withdrawal value is $/£/€100 and withdrawals to credit cards cannot exceed the value of the deposit made from the same card. Customer support is via either telephone (UK or South African numbers) or email. Support is available Monday to Thursday 08:00 to 17:00 and Friday 08:00 to 13:00. PlusOption traders are provided with access to the ‘Academy’, a binary options education resource comprised of video tutorials and e-books categorised as suitable for distinct beginner, intermediate and advanced experience levels. Platinum and Diamond account holders are also provided with risk and financial management training resources. In terms of the trading experience itself, PlusOption can be considered a good binary options broker. The SpotOption trading platform and mobile apps are to a very high quality and offer a nice variety of alternative binary options formats and good range of choice in tradable instruments. 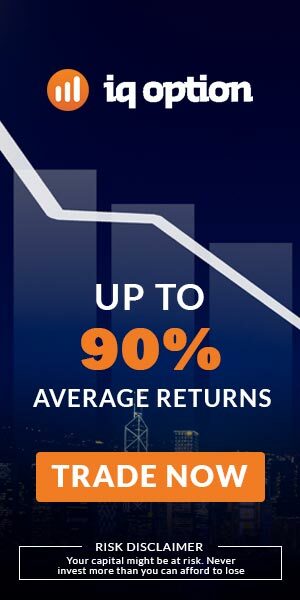 The lack of clarity when it comes to bonuses is a little strange in the context that this is usually one of the most marketed qualities of binary options brokers but a broker really shouldn’t be chosen on the basis of bonus offers anyway, which often come with onerous turnover requirements before subsequent withdrawals can be made. While the company isn’t regulated clients will be happy to know their funds are held in segregated accounts so theoretically safe in the worst case scenario. What is the minimum deposit to open a PlusOption account? What assets/instruments can I trade with PlusOption? Is PlusOption a safe binary options broker? PlusOption is not a regulated broker but does promise that it keeps client trading account funds in segregated bank accounts so if the company were to go under capital in trading accounts should be safe.